The Austrian crowd investment platform Conda will shortly launch an ICO. 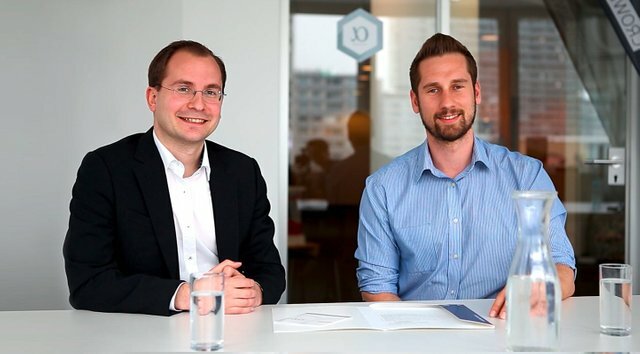 The founders Daniel Horak and Paul Pöltner consider an Initial Coin Offering to be a sensible extension of their company’s business model. “We want to create the infrastructure for alternative forms of financing and thus create the financial market of the future. Blockchain technology offers us the opportunity to build a standardized architecture that can serve as basis for a decentralized network of crowd financing platforms," said Daniel Horak, who founded Conda several years ago together with Paul Pöltner. Here you can learn more about their services and how it works. “We have been working with the technology for almost a year now and have primarily approached the issue from this direction," Horak explained. Conda sees blockchain technology as the logical further extension of its own business model, both for fundraising itself and for the management of investments and the implementation of processes. This development will further automate existing services and thereby create new offers and thus sources of revenue. In recent years, Conda has gained experience in the intricacies of Austrian financial legislation. Following the pioneering work of Heini Staudinger, who tried to have a network of small investors finance his shoe production, Conda was one of the first advocates of this new corporate financing model, which ultimately led to the Austrian Crowdfunding Act in 2015. Since then, Conda has collected more than €19 million for over 80 different projects. The company recently announced its intention to launch its own white-label solution for ICOs (Trending Topics reported). The software is designed to provide the technical infrastructure to enable startups to perform an ICO in the best possible way. “We have the technical and legal experience in the field of alternative financing and can thus offer young companies yet another opportunity to raise capital quickly and easily," said Pöltner. Conda decided to launch their own ICO to involve the community more closely in the development of the ecosystem and to further develop and open up the technical infrastructure. “For a few months now, we have noticed an increased interest in co-financing, i.e. that companies are collecting capital on several platforms at the same time. In addition, the number of enquiries from countries in which we are, as of now, not active yet is also rising," said Horak. The ICO creates the infrastructure enabling investors to quickly and easily invest in companies (startups, SMEs, etc.) on an international and cross-platform basis. “For us, this is the logical extension of the idea of crowd investing, so Conda is predestined for an ICO," said Horak. The decision of the Austrian Finanzmarktaufsicht (financial market supervisory authority) on the project is still pending. “We work closely with the authorities and do not want any questions to remain unanswered," said Pöltner. The reputation of ICOs was recently put into question due to some doubtful cases. Two projects stated their aim to raise seemingly ludicrous sums of capital. Hydrominer intend to collect up to €80 million with their green mining approach, and the Bitcoin ATM provider Cointed even plans to collect up to €140 million. Cointed's business practices in particular were strongly questioned in the digital trade press. “We want to focus on the technical possibilities of blockchain. We have a concrete business model that is based on this technology of the future and does not exploit any hype, but rather establishes a sustainable and sensible model together with the community," Horak concluded. The ICO is due to start in the coming weeks. In a first step, the whitepaper will shortly be published and discussed with interested parties. Then the existing Conda community will be asked to field their entries in a pre-sale. Conda is also in talks with international banks. The aim is to find out how established financial institutions can make sensible use of the new type of financing and how to build synergies. Financing goals and exact functions of the token will only become known after the publication of the white paper. We'll cover it.